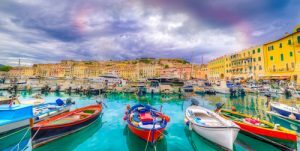 Italy , because of its geographical conformation, has a wealth of coastline, splendid shores overlooking not just the sea, but also quite a few archipelagos and islets. Pearls of rare beauty that win over their visitors time after time. We only need to move a few miles from the Tuscan coast to land immediately on the third largest island in Italy. When we talk about the island of Elba we cannot fail to mention its splendid shores: over 150 beaches await visitors who come here every summer. Listing each and every one would be a long and difficult task, so we’ll tell you about some of the must-see shores, and remember that often the most beautiful places are also the least traveled, so today we going to share our discovery itinerary with you. 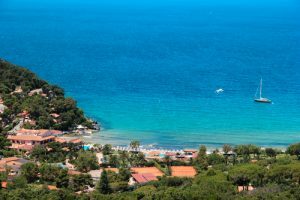 We start from Fetovaia (in Campo nell ‘Elba) which has pure white sand and a sea whose shades range from deep blue to light green. A beach of unparalleled beauty that only this island can offer. You cannot miss a visit to the beaches of La Biodola and Cavoli: both are long sandy beaches, lapped by clean water. Due to its shallow water, La Biodola is particularly suitable for holidays with children, while Cavoli is very popular with scuba divers. 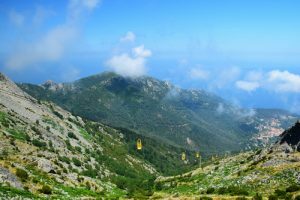 But Elba offers much more to its visitors: why not go trekking through the characteristic flora of the Mediterranean countryside and visit Mount Capanne, the highest point of the island. On days when the sky is clear you can enjoy the view of Elba and the nearby islands of the archipelago. The effort will be richly rewarded by this view, already breathtaking during the day, but perhaps even more so at sunset when you are surrounded by colors so vivid that you’ll feel like you’ve stepped inside a painting. 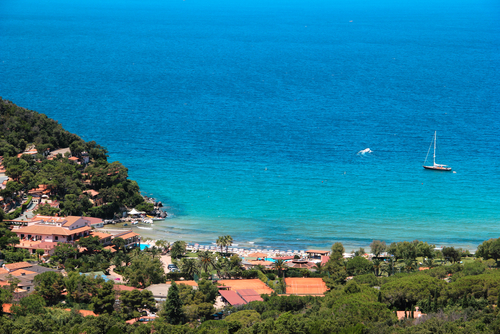 As you certainly know, Elba is not only known for its beautiful beaches. The island is the guardian of a glorious past that will be handed down forever. Elba was in fact the home of Napoleon Bonaparte during the years of his exile in 1814-15 following the Fontainebleau treaty: after the ruinous defeats suffered by the Emperor, he was allowed to preserve his noble titles in exchange for exile and the surrender of his authority in France. In Portoferraio, exhibitions at the National Museum of Napoleonic Residences trace the French emperor’s stay on the island: a visit not to be missed if you want to get closer to the life of one of the grand protagonists of history. If you’re thinking about spending time on this incomparable island, you may be asking yourself when is the right time to go. The sandy beaches and crystal clear waters that you will find here in the summer are almost impossible to describe, you really need to simply experience them in person, so enough with the stories, it’s time to pack your bags and leave.